The purpose of the present section is to explain the main training methods and demonstrate how to reach practical benefits and effectiveness by studying of the weapon handling basic skills. Many detailed explanations were gained during the learning process in Rajasthan, some extra knowledge and skills I discovered directly during the practice, and the other is my personal opinion. Gradually this section will be enriched by demonstrative videos and articles about specific skills. Moving by means of the only convenient and natural for a human way – usual stepping – in any direction, over any solid surface with simultaneous implementing by armed hands of any random technical actions, including independent from each other actions by right and left hands. Ability to perform necessary technical action at any moment of the moving (moment of the moving is the moment of standing on one leg at the absence of the previous step residual inertia while the next step isn’t started yet). Here it is fair to draw an analogy with the flying arrow, which lies dormant at every time moment at the corresponding point of the space. Thereafter a person is able to stop and freeze without loss of balance at any stage of the movement. The implemented technical action when being at this point is under the total conscious perception and control, thus it doesn’t need preliminary previous or subsequent stages. These stages can be the parts of previous or subsequent technical action. This technical action has to be the most powerful. 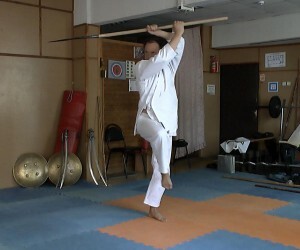 In other words, a person who is implementing the action should have at own disposal all components (fulcrum, correct twisting of the hip, using of the back or abdominal muscles) and commodities, which are necessary for implementing of technical action with the maximum possible for this person power. The type of technical action or applied strength should match the type of weapon and specificity of implementing action. What are the means of achieving the aforesaid objectives in the Indian techniques arsenal? 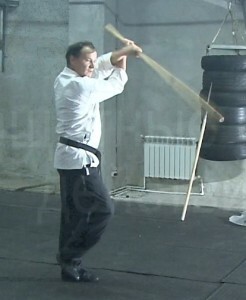 Spinning of the stick having the length from the floor to the shoulder (classic length reaches the earlobe) and the diameter till 5 cm with such speed and sharpness as it produces the whistle/swish almost constantly with parallel moving in any direction compounds the required motional base. 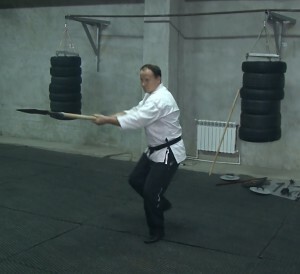 While handling and spinning the stick, the arms passes and works out all the stages of movements and positions, which could be useful for any weapon using as well as without it. Wherein these stages are naturally linked to the pace type, hips twisting and work of the back or abdominal muscles. 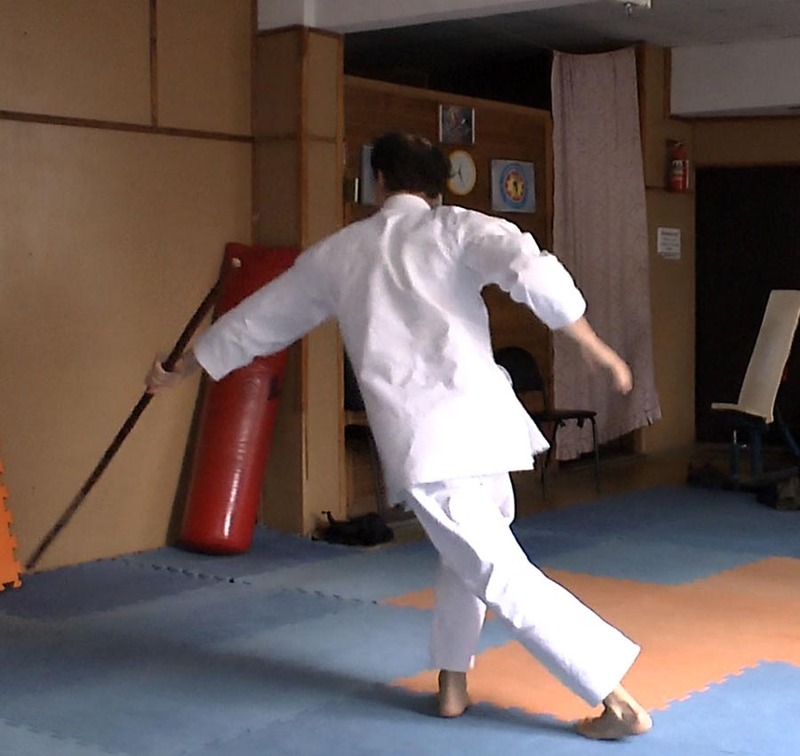 Practices of applying a spear, a specific type of weapon which requires surgical pricking and short cutting strikes, allow gaining the skills to move without inertia and implement controllable and conscious technical actions with any speed achievable by the person at the moment. Shield is necessary to protect against the throwing weapons. 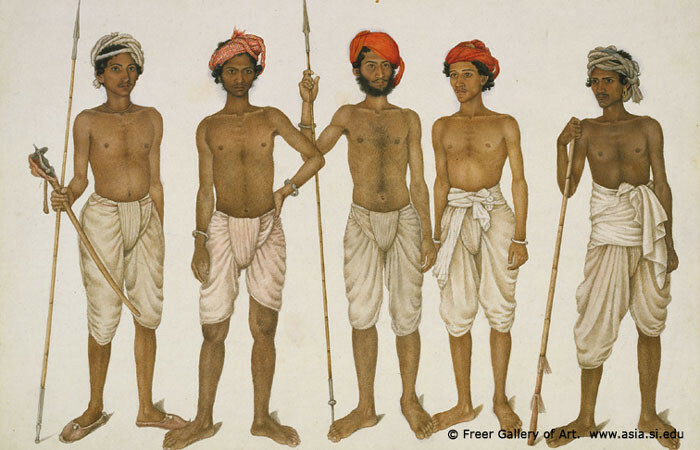 Although traditionally the Indians use it until the middle of the 19-th century, it plays quite a simple role during the training technique – to acquire the skill of moving with a sword in hands, controlling the distance, understanding of the partner movements, especially his attacking actions with a sword. 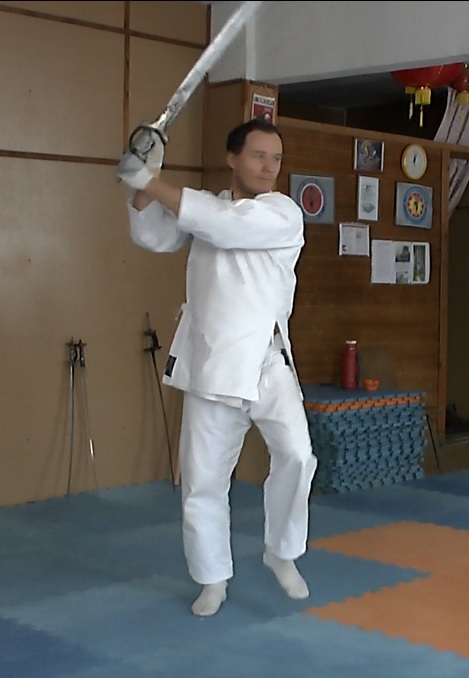 In other words – it helps to escape from fear of sharp weapon using against similar weapons. Saber, as a fine-tuning, promotes perfection of the previously acquired skills. It requires more complicated technique of moving, more precise compliance of defending and attacking actions trajectory (the last ones are checked by hacking of solid things), more accurate compliance of the distance, control the opponent, development of peripheral vision skill and other. Two sabers. 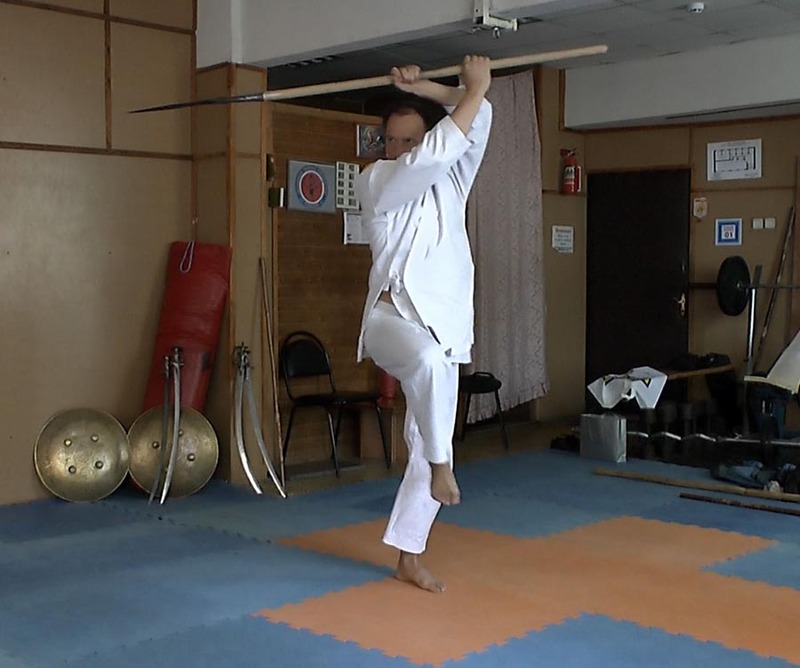 Proficiency with two sabers, including random performing of equal defending or attacking actions depending on the situation specificity, together with ability to stay in mental and physical balance is the confirmation of correct mastering of the previous practice’s stages. Pair techniques with an opponent, which are neither fake nor the full contact fight, but namely they are training exercises, implementing with a weapon (a stick or a sword) by means of constant uninterrupted contact between the weapon and applied power. This is some kind of exercises with a static load and minimal necessary movings in pantra technique. They allow acquiring a skill of force influence on the opponent by means of the weapon (like a fake attacking or defending action), with compliance of necessary conditions (balance, absence of inertia, natural way of moving, force). Pair techniques similar to the previous ones, but only without weapons. Defending and attacking actions with arms similar to the movement’s stages described in the first item but without the stick.